So just from a pure typing viewpoint using PayPal will save you time over using a credit card with every use. 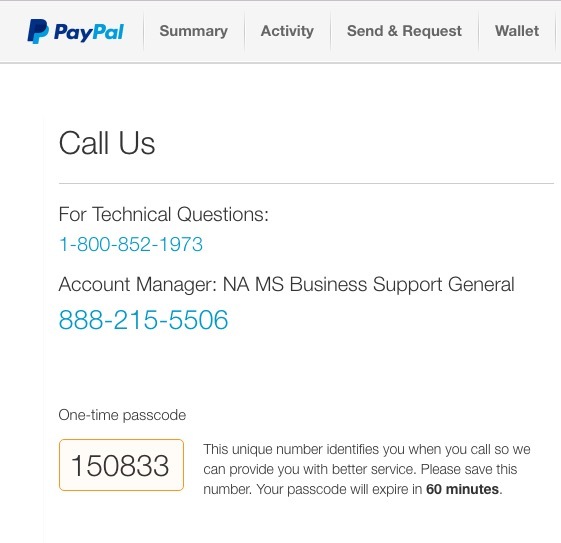 I was on hold for just a few minutes and then the support person listened to my bug report, acknowledged that it was a real bug and that PayPal engineers were working to fix the bug, so I just get to wait for my account balance to appear again. After one day of patiently waiting the techs at PayPal have fixed the bug and my account balance is now correct. See, patience is a virtue..